Another day another preview, right!? This preview was part of Landmark Hospitality’s Houston Restaurant Weeks preview for three of their restaurants. I dined with the staff from the three restaurants and had a chance to get any questions answered to to also get some insight into their world. Most of you have probably been to 51fifteen or at least seen their outdoor sign at the Galleria. 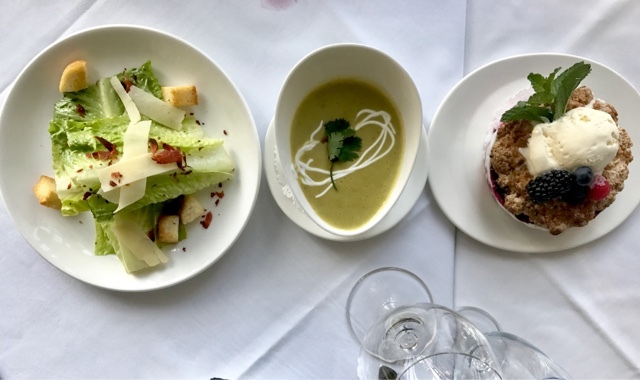 If you haven’t dined there, this is a perfect place to dine after a long day of shopping, because the restaurant is located on the second floor of the newly revamped Saks Fifth Avenue wing. This beautifully designed version of 51fifteen scream modern elegance, with granite walls, blue velvet dining booths, golden accents and sleek lighting. 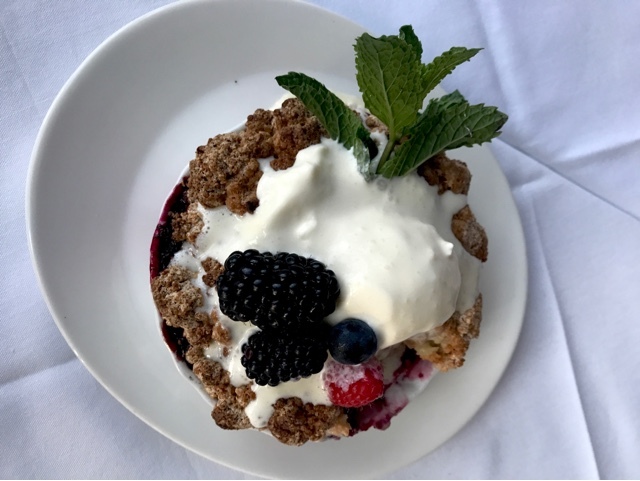 Chef Emily Trusler delighted us with a shared tasting of her Houston Restaurant Weeks menu. The staff welcomed me with their recently curated Mojito Shake Shot, because who doesn’t love a great shot? Then we proceed with the tasting. 51fifteen will have the option of a $22 brunch and $20 lunch with $3 dollars donated to the food bank, and a $35 3-course dinner with a $5 donation. Roasted Poblano Bisque: Queso crema, pico de gallo(Brunch-Lunch-Dinner) Very tasty and rich! 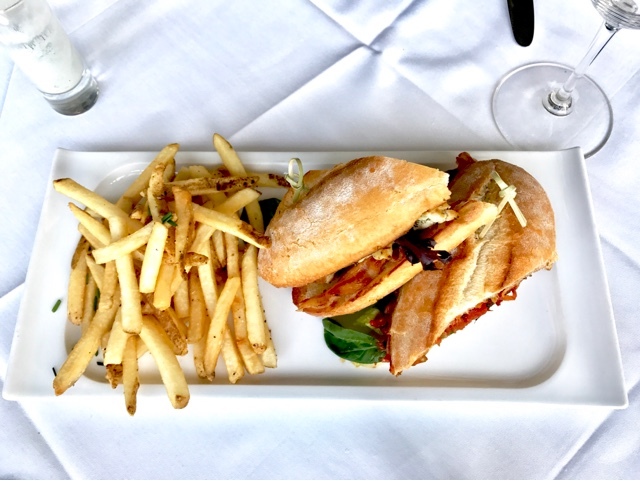 Roasted Chicken & Brie Club: mixed greens, caramelized onion, thick cut bacon, sundried tomato jam on grilled ciabatta, served with fries. (Brunch-Lunch-Dinner) Simple and speaks for itself, you can never go wrong with sundried tomatoes and their jam is amazing. The fried obviously steal the show without doing too much. 8 oz. 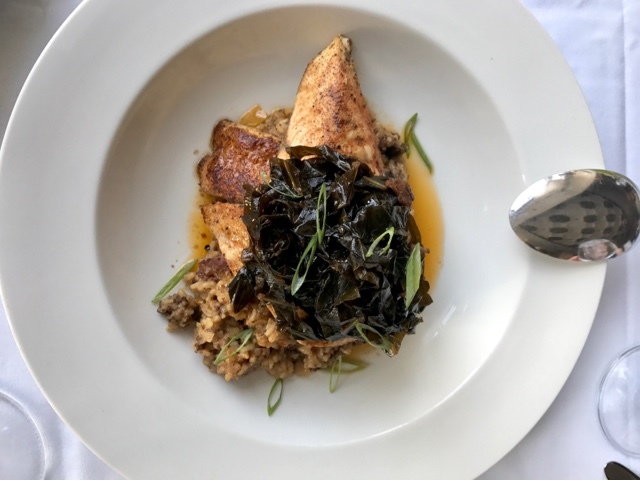 Blackened Redfish Filet: Served with dirty rice and cajun lobster butter (Dinner) The fish was prepared to perfection, favorite dish!